I'm working on a schedule for teams that work Thurs-Thurs. I have a base calendar for the project that has the correct working days and times and have resource calendars for the individual teams. 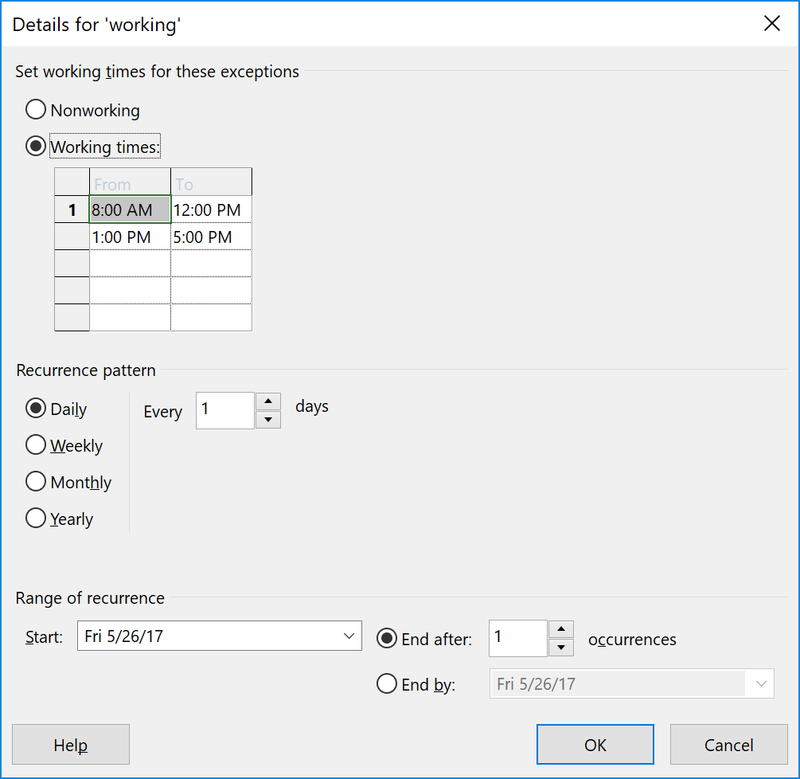 When I go back to the Gantt chart it shows that task skipping 5/26, 5/27-5/31 (which it's supposed to, those are non-work days), and the vacation days seen in the picture above from 6/1-6/3, and has the final day fall on 6/4. 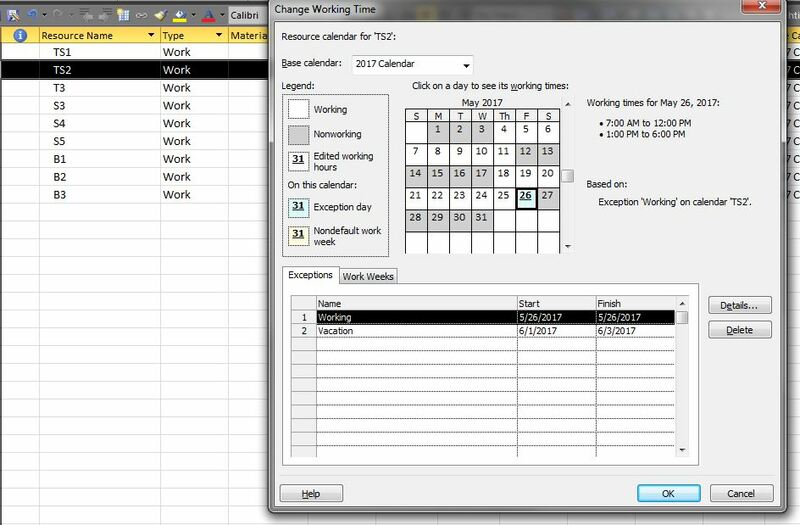 If I try to put a constraint on the finish date for 5/26 it adds it to the project calendar, not the TS2 resource calendar. Exceptions default to non-working. Click on the Details... button and change it to working. I figured it out. I assigned the base calendar to each task and I guess that was somehow overriding the resource calendar. Once I removed that everything was fine.